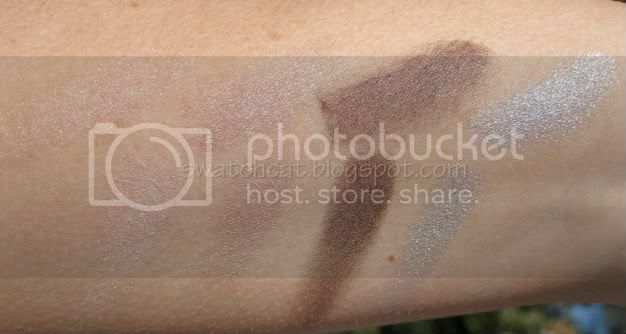 After seeing all the swatches of Stunning Rouge Coco and the Stupendous Quad I was smitten. Uh, too bad they both were sold out when I order Star Glossimer. I was willing to wait until Soho launched at department store counters, but luckily, I didn't have to. Chanel online restocked! (yeah, yeah, it was the highlight of my day, what of it?) 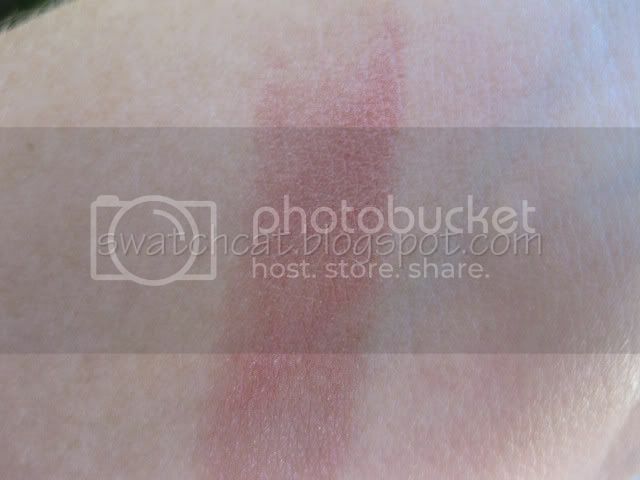 You want pretty swatches? Of course you do. Stunning Rouge Coco is a gorgeous neutral pink with golden shimmer. 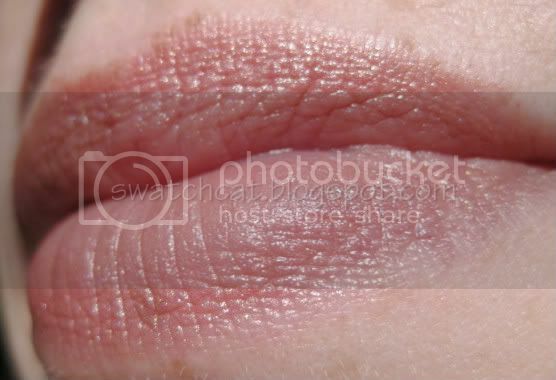 It's a my lips, but better color...just a bit deeper, and I love it. It's so much prettier than I imagined. It is pigmented and the color just melts into my lips. Check out Stupendous after the jump. 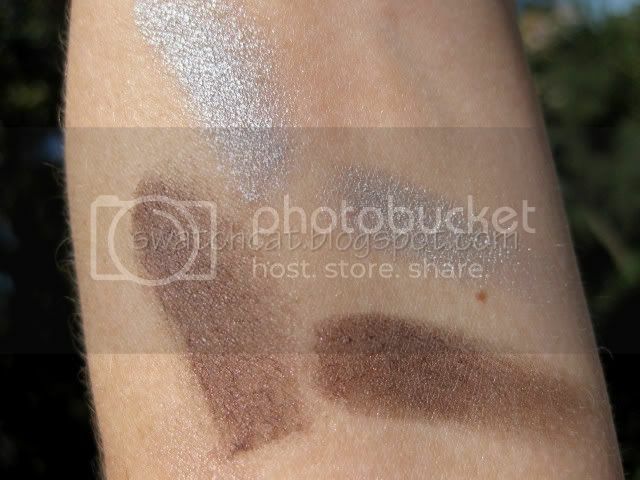 Stupendous contains a pale pink with golden shimmers, a satiny, slightly metallic beige, a sparkling chocolate burgundy, and a metallic silver. 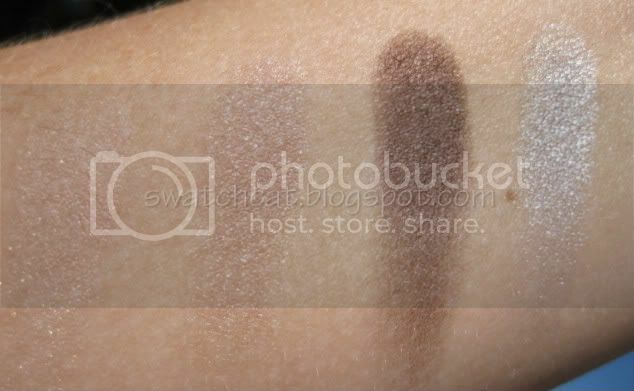 This quad does have great pigmentation and I had no issues with fall out. The reviews on this quad have been mixed, and although it should be obvious, I'm going to point it out anyway. "It" is the fact that two of the colors in this quad are pale pink and beige. 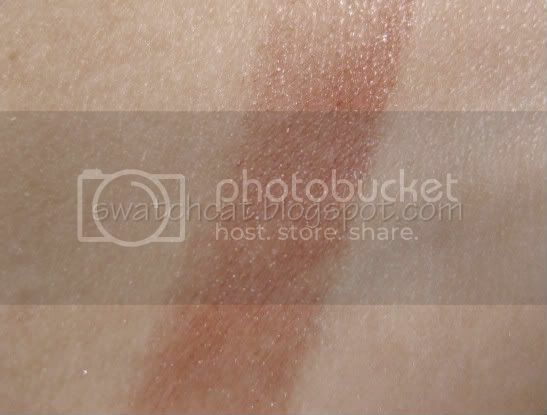 On many skintones, including my own, the colors are barely there. In my mind, that is the genius of this quad. It is truly a daytime-to-nighttime quad. 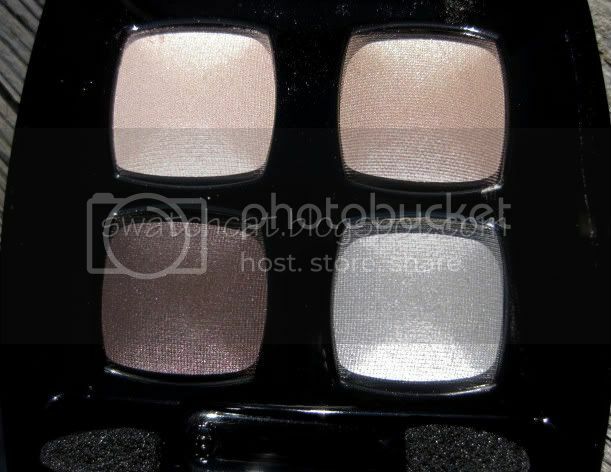 Three of the four colors are easily wearable on the eyelid for the daytime, and using those colors wet only intensifies them. In short, I would recommend this quad, but only if you can tolerate barely-there neutrals. 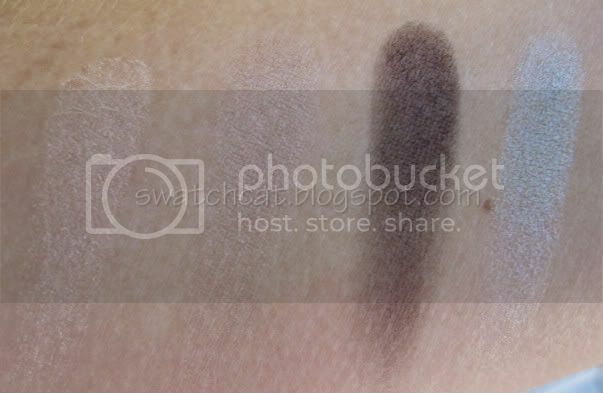 Shadows are first swatched dry (swatch pics 1 & 2), then wet (top/left) versus dry (bottom/right). 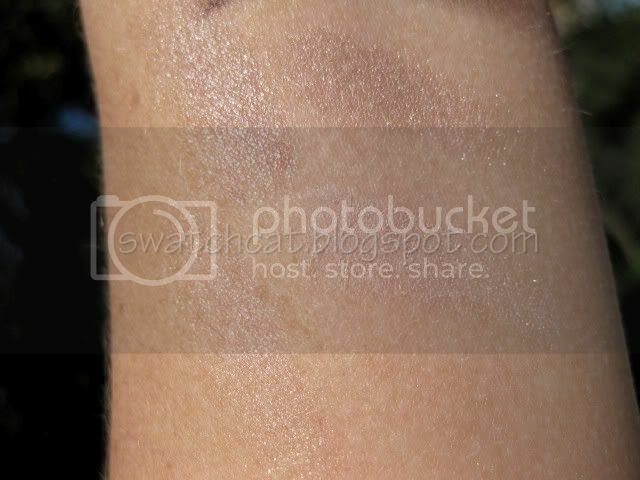 You can see how using the beige wet brings out a metallic finish. I've only done one look so far, but I can't wait to try others, including experimenting with layering colors. The entire Soho Collection is available on chanel.com, and will be in department stores in November. 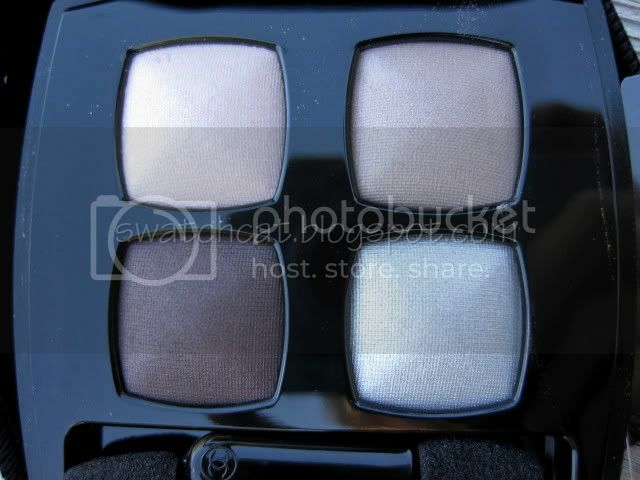 I'll have to check out this collection when it arrives in the stores...the eyeshadow is so beautiful. enter my Charlotte Russe giveaway!